This is an America-Korea collaboration, where the American is Cuban American. I wonder what new mix we’re going to hear next involving Kpop. I just have to say before you start: Lloyd that is the best face I’ve seen you make ever (the video thumbnail). Hello one and all Kpop nubs, this is the significant other of the blog overlord here, taking over this blog for the moment with shoop da woops, fried chicken and growing Kpop love. Following the theme of the previous post, i will be injecting this page with my repeat button-smashing Kpop list. I’ve worked on on-the-spot intros to every track basically highlighting a key aspect to the music or video that just made it so enjoyable, time and time again. And for anyone looking to avoid seeing my mug and just absorb the vibe of the music, here is a playlist without the intros to every video. The fundamental theme is how many of these songs related to r&b/hip-hop styles from the 90s, at least to me, and how this list is as much a reflection of these artists style as it is nostalgia. Its infinitely more enjoyable when you can find the familiar in a new genre and how much more relate-able it makes the music, even when you fail at the words. Hopefully I get to enjoy the nuances of Kpop music itself as I dig further down the rabbit hole. See you there. I love my boyfriend, but sometimes I just go “Srsly?” I guess Kpop exposure has to get a little bit ridiculous, cause Kpop is, well, a little bit ridiculous. Oppa, you’re so dreamy… doesn’t really work. Having listened to Kpop for several years, and converted all my friends to the point that they know bands by name (and I feel very proud of this because they primarily listen to indie), its hard for me to remember what my perspective on music was before kpop. In early high school I was in a Nu metal / rock phase and my musical journey has been peppered with some pop, hip hop and a healthy dose of classic rock. In a way, that really hasn’t changed. Instead of an ipod, I have a dinky mp3 player that has all rock on it, I can only listen to pop and hip hop in the car because rock makes me angry and classic rock makes me sleepy. Classic rock is music that I listen to with friends and when I just need some Jethro Tull or Led Zepplin in my life. 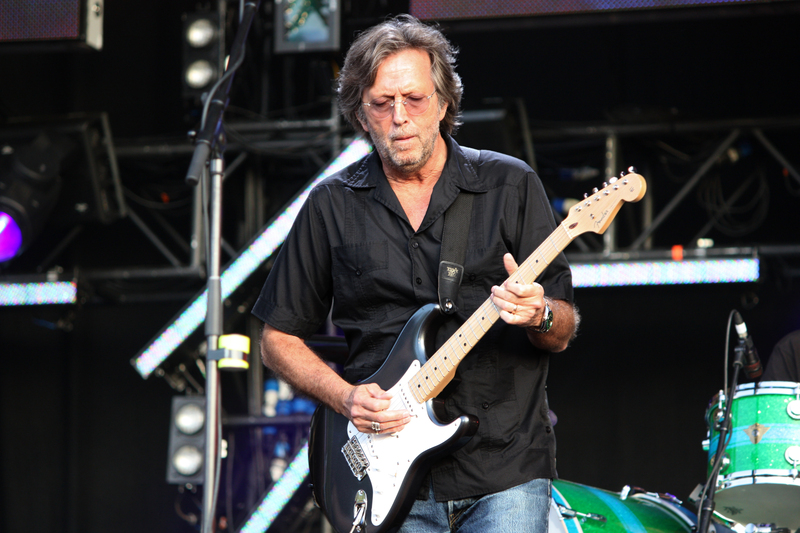 Layla by Eric Clapton remains my favorite song of all time. However, no other musical genre has captured my attention the way Kpop has, and I think it has to do with the music videos that come out for each artist. What the music video looks like greatly impacts how I perceive the song being featured. Case in point, Orange Caramel’s “Lipstick” which is a mediocre squeaky song with a bloody brilliant music video. When music becomes less about music and more about the whole production (clothing, make up, dance, acting, etc.) if you are at all into the music being played you get sucked into the genre so far that you become disbelieving that others could like any other genre of music. I very much appreciate the Fine Brothers for their react videos, and the following two videos have injected a little perspective back into my life, if only the realization that repeated viewing of Kpop videos has really imbued me with appreciation for Korean beauty ideals so much that they surpass many of the ideals indoctrinated by American society and that lack of exposure to a culture really does make everything seem the same. They also have reaction videos to both of Psy’s recent songs, but they treat those as viral videos instead of regular music videos, so they have a different vibe. It’s just useful to understand what non kpop fans see when they look at kpop, as to better understand passing youtube comments and trolls. PSY, aka Park Jae-sang, is as of 2012, the most famous kpop star in the world. I’m not sure if there’s a person on the planet with sufficient internet connection or a cable TV that evaded “Gangnam Style”. The world’s fascination with Gangnam Style was both exciting and bothersome to many a kpop fan. We, as fans, are always happy when someone shares in our love for the music and culture. However, because PSY’s performance style is very different from other Kpop artists, many Kpop fans are irritated that their favorite artist was not the one to break through into Western Media. Many people excited about Gangnam Style are not excited about their favorite band’s brand of music, and this creates a lot of trolls who will trash a band’s video. These fans are happy for the views on their favorite band’s music video, but aren’t happy about the spam comments and the down votes. Gangnam Style then provides a unified area where angry kpop fans can vent about the trolls found on their page. This creates a dismissive atmosphere around PSY’s work for 2 reasons. First, Kpop fans have a hipster-esque reaction to the influx of people viewing kpop and move away from PSY’s work since now it’s “mainstream pop”. Second, people who are into pop but not Kpop know nothing more than his one single. I feel that this should be corrected, because PSY is too talented to be treated as a one hit wonder by both the fans of his genre and the new found viewers of his viral video. I present the video Right Now. Whenever I talk about this video, I introduce it as the precursor to Gangnam Style. The theme is similar to Party Rock Anthem by LMFAO (note that Right Now was released first). A song is played over the radio in a traffic jam and people get a dancing virus. Hilarity ensues, of the fake chest and avocado football variety. If you at all enjoyed Gangnam Style as a song before it was overplayed, you’ll like Right Now. Also, note the way that Psy rhymes his words. Rhyme is both very easy and very hard to do in the Korean language, because formality of speech changes word endings so they match up, however, rhyming multiple syllables is not something easily done. Psy does this all the time. Don’t believe me? Check out his song Champion here: https://www.youtube.com/watch?v=DTT9MT0rMhU. Count how much internal rhyme he uses in his verses. It’s pretty impressive. As a Kpop fan or someone just getting introduced to the genre, I won’t judge you for disliking PSY’s music. I just hope that people are honest with themselves and why they dislike PSY instead of bashing PSY because of the exposure that he’s garnered. That’s signs of a narrow minded individual, and in this genre we don’t need any more closed minds.